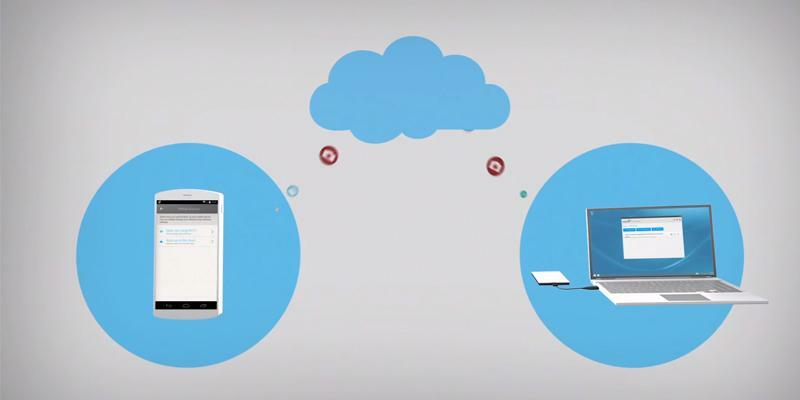 Seagate Dashboard app allows performing a backup at a single click. You can send lots of media files to social networks and share them with all your friends and contacts. If you need a secure storage for your continuously expanding media library, pick this excellent portable USB external hard drive. 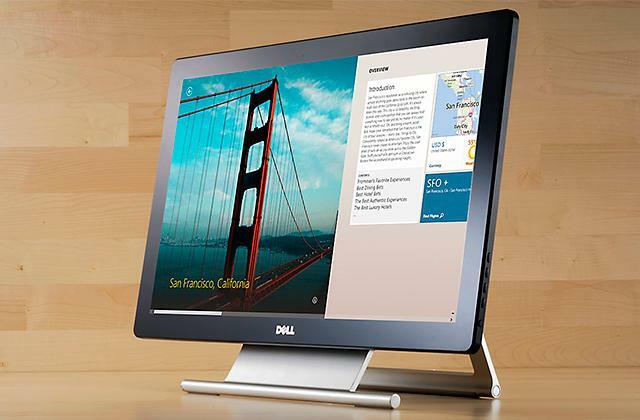 Fast reading and writing speeds ensure data transfer won't take much time. MacOS and Linux compatibility makes this HDD almost a universal model. The disk is rather thick. 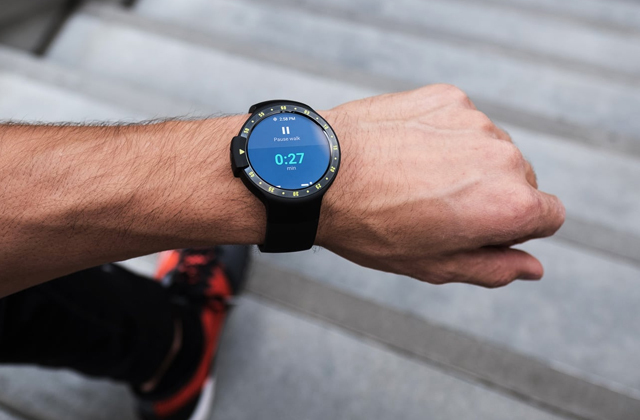 Protected with the 3-stage anti-shock system, the Transcend 25H3P is an ideal choice for those leading an active lifestyle. 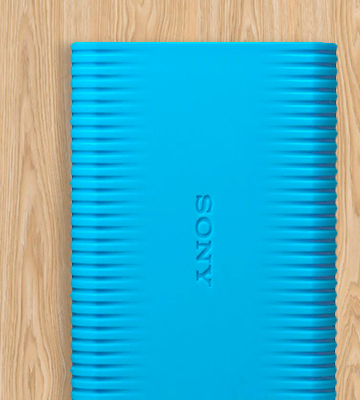 Meeting the U.S. military drop-test standards, this external HDD will protect your data even under extreme conditions. 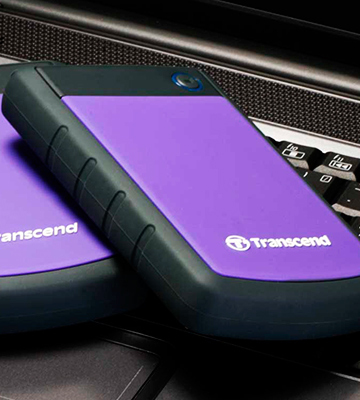 This portable external hard drive provides your data with extra protection due to the 256-bit AES hardware encryption. It also looks pretty good. You can choose the disk in 4 available colours. Some users find the light indicator too bright. 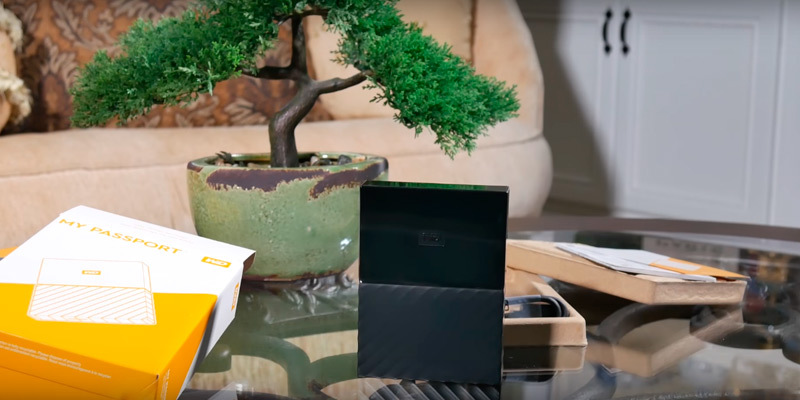 By choosing this external hard drive, you will not only get a lot of external storage space, but you will also get confident in the top security of your data thanks to the automatic backup. A thick rubber case boasts shock-, dust-, and waterproof properties, thus, provides perfect protection of your data even under extreme conditions. 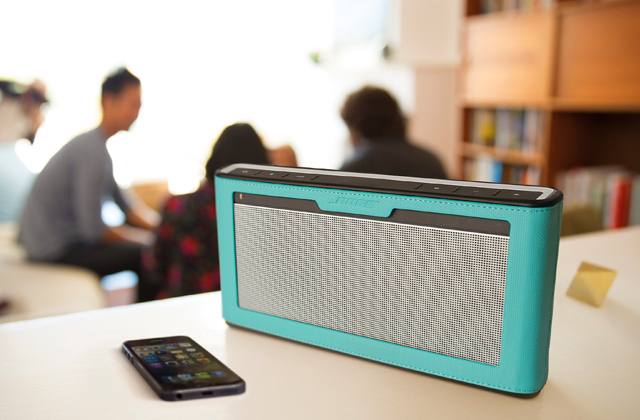 If you're in the market for a device that would be both capacious and protected, the Sony HD-SP1 is a perfect choice. The Branded Sony software enables you to create a cloud and local backup, giving you a means of protecting your important files and data from getting lost. Owners of the Lenovo ThinkPad devices can download a special software to backup document, audio, video files, as well as system drive information. Also, this software comes in useful for when you need to restore the data that have been accidentally lost. A data transfer rate leaves something to be desired. Compact, capacious, and attractive, the Lenovo Slim F308 HDD provides you with comfort of having the important information at hand whenever and wherever you are. 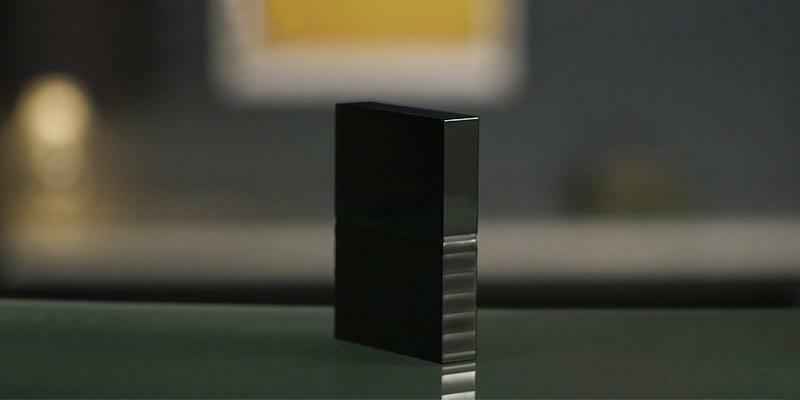 The new series of Seagate external hard drives got larger capacity (up to 4TB) and became more compact. However, today having a large capacity only is insufficient - there are lots of other manufacturers of external hard drives and their devices might provide the same storage space and that's why software comes to the fore. No secret that any user has gigabytes of important files that need to be kept safe. And if you could use a couple of flash drives several years ago, an external hard drive is required to do the same thing today. 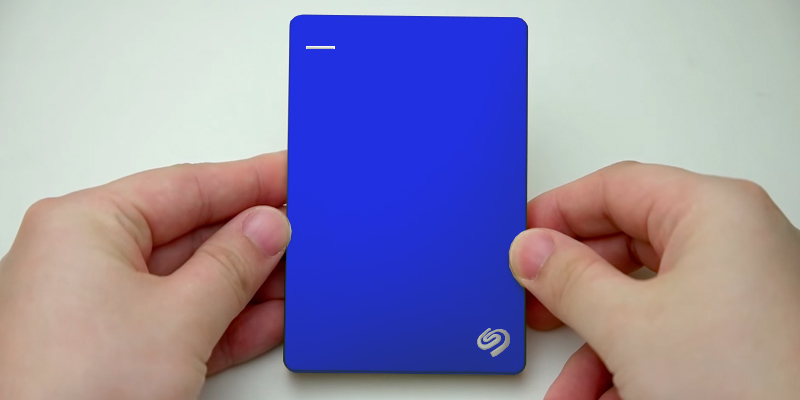 This Seagate external HDD is rather compact and you can carry it with you (in a pocket of your jacket, for example) and use whenever you need to. The durability of any external hard drive depends on the material it's made of. The casing of this Seagate external hard drive is made of metal, which ensures a decent shock- and scratch-resistance. If colour matters to you, you are welcome to choose one of four available colours: black, blue, red or silver. In all, this is a really worthy device that will backup all your important files and you will never lose them. 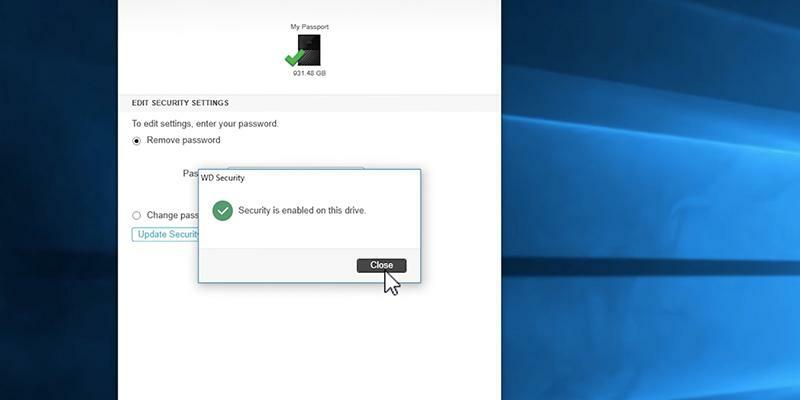 Install the downloadable NTFS driver for connecting the Seagate external hard drive to Apple devices (iMacs and MacBooks) without any reformatting. Even though this external hard drive has a metal casing, we recommend you to think about additional protection such as silicon case. 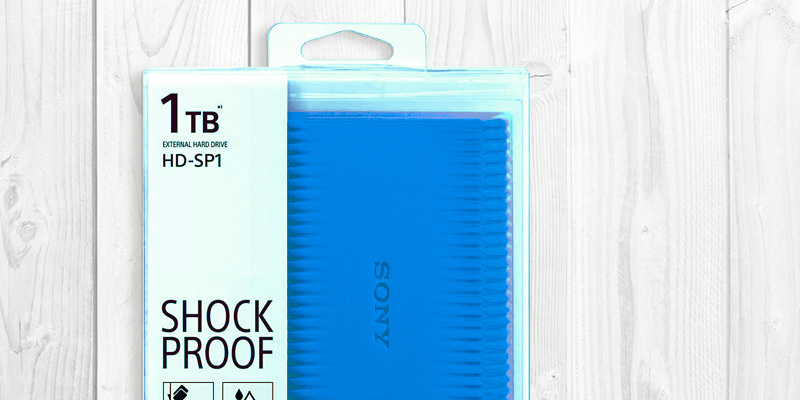 With a soft case, you can be sure your HDD is protected from scratches and accidental bumps. 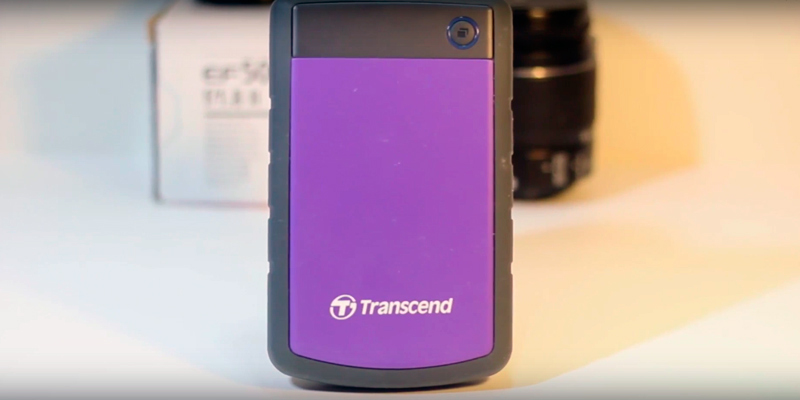 It comes as no surprise that StoreJet 25H3P from the world-renowned Transcend company is believed to be one of the best HDDs represented on the market. 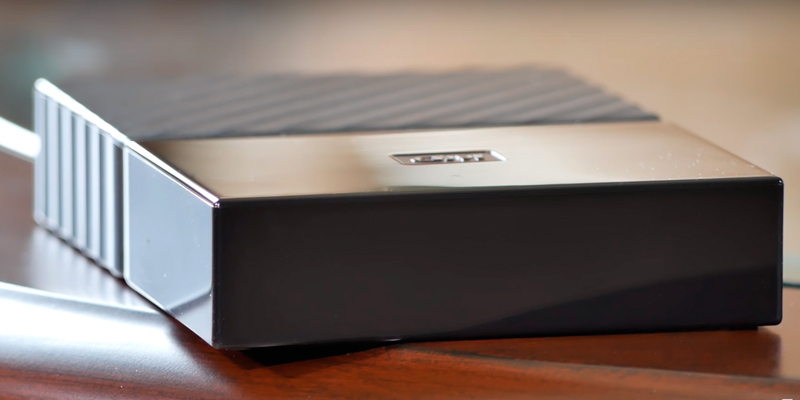 The model we review here has 2TB of storage space but the disk is also available in 500 GB, 1 TB, 3 TB, and 4 TB capacity so you can choose the one that meets your needs best. In addition to great storage space, the device can boast decent protection features. It has a 3-stage anti-shock system that consists of thick suspension damper inside, reinforced hard casing in the middle, and anti-slip rubber enclosure outside. A protective layer this reliable not only excludes the possibility of external damage but also minimises the risk of damaging the magnet disks inside the gadget. 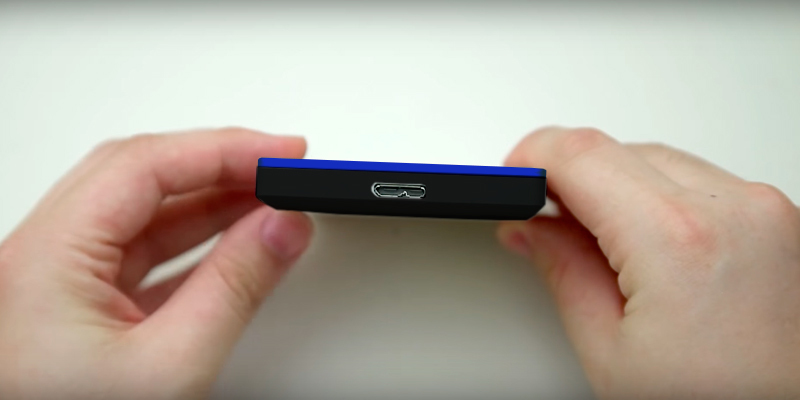 Of course, three layers of cases influenced the size of the gadget – it’s 24.5-mm thick. However, it isn’t as heavy as you might think – 240 grammes are quite a convenient weight for everyday use. The beauty of this external hard drive disk is its compatibility with most modern operating systems, to be more precise, Windows, Mac OS, and Linux. 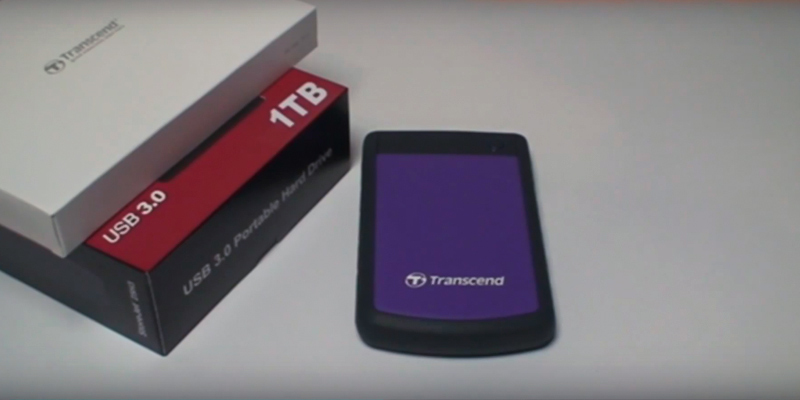 This very feature makes Transcend StoreJet 25M3 a suitable model for the majority of HDD users. By the way, the disk is equipped with USB 3.0 – one of the fastest among modern interfaces that can ensure data transfer at the speed of 5 Gb/s – at least, the manufacturer claims so. Yet, be ready that in real life, the speed will be approximately 118-120 Mb/s. With automatic backup option, you can perform local or cloud backup of different files and folders. It’s also possible to set backup schedule so all stored data is copied daily, weekly or monthly. However, note that if you want to backup system files such as Windows or Program Files folders, you’ll have to use different software. Protect the information you store on your HDD with AES encryption. Sync option is a real catch if you often use the same folders for work or study. This very function ensures exact correspondence of information stored on your PC and StoreJet 25H3P. 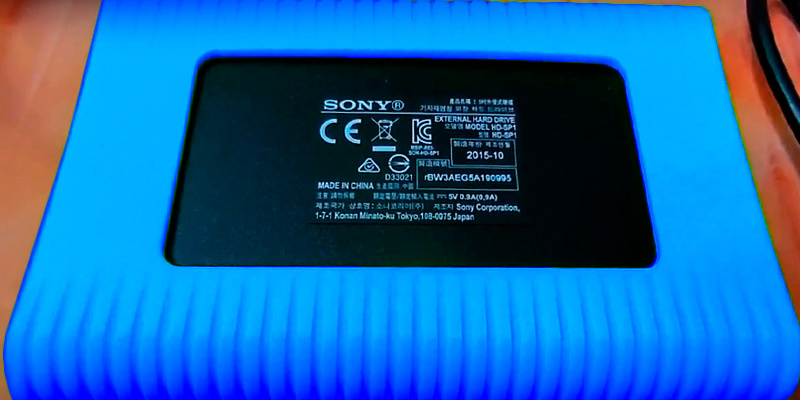 If you take a closer look at this HDD, you’ll notice a small button at the top of the gadget. Its aim is to start backup process. Just install Transcend software, activate the button via the programme, and here you are – once you connect your StoreJet 25H3P to your PC, automatic backup will be at your fingertips. This external hard drive disk is a portable model that is rather compact, so you can easily carry it with you in a laptop bag or backpack. 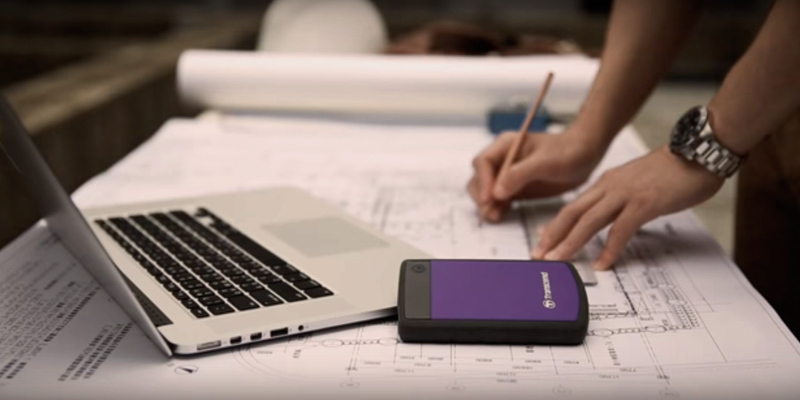 A fantastic device that you can always have at hand no matter where you go: to work, on a trip, or to college. Since it's a portable external hard drive, it's powered from USB. Therefore, you just need to plug a USB cable into your PC or laptop and the HDD will work. 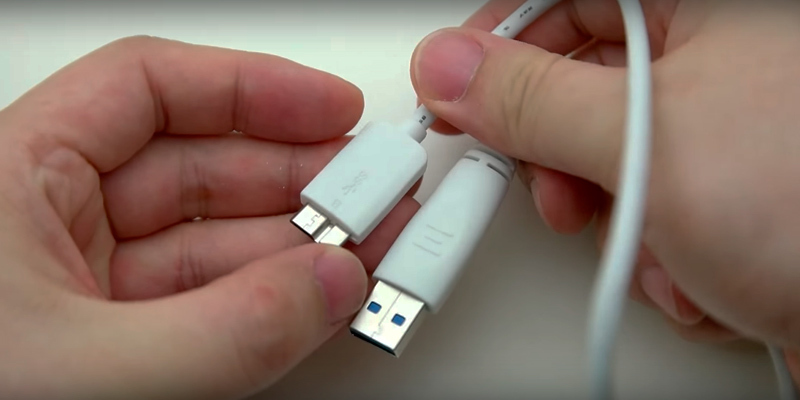 No need to say, you can use the same USB 3.0 interface to connect the external hard drive disk to a TV and other devices. 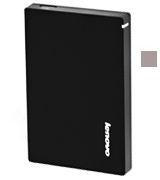 Having chosen this portable external hard drive, you can select one of the several available models that differ in the capacity they provide. All in all, there are the following capacity options: 1TB, 2TB, and 4TB. Therefore, you can pick the most appropriate capacity according to your needs. For example, an external hard drive disk with 500GB capacity is enough for storing your favourite pictures and music, though if you are fond of videos and movies - you'd better pick an HDD with at least 1TB of storage. 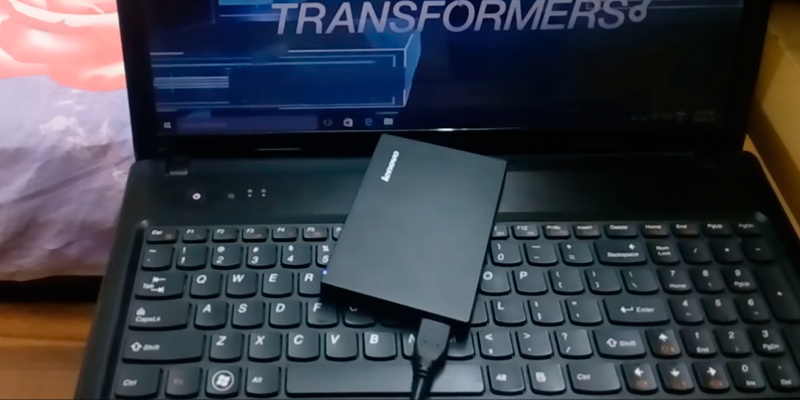 The data transfer speed of this external hard drive depends on the type of USB connection you use. 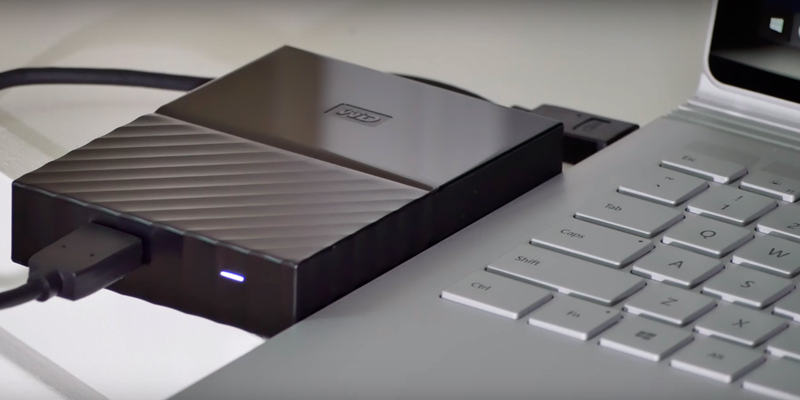 Western Digital has a USB 3.0 support, so if you plug it into the USB 3.0 slot of your PC or laptop, you will be able to transfer files at the maximum speed of 5 Gb/s. However, if your computer has only USB 2.0 interfaces, the read/write speed will fall to 480 Mb/s. However, these are the maximum rates and the real speed might differ for various reasons. The spindle rotation speed this external hard drive disk is 5400 RPM. Western Digital portable external hard drive is rather compact. Just imagine! It's almost of the same size with your passport. The dimensions of the device are as follows: 4.3 x 3.2 x 0.6 inches. It goes without saying that the weight of the unit depends on its capacity and the one we have tested weighs 0.34 lbs. 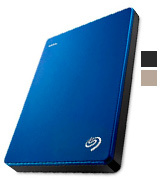 We all know that some people want to emphasise their personal style, and this external HDD will give a chance to pick one of 4 available colours: black, blue, white, and berry. 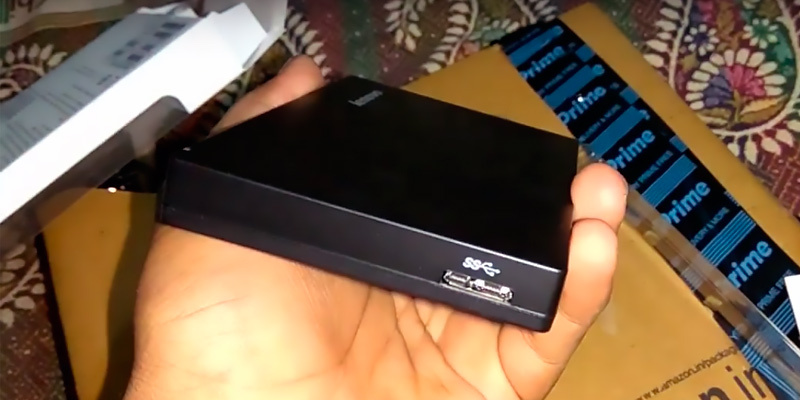 This USB external hard drive supports USB 3.0 connection and, of course, it is fully compatible with computers, laptops, and other devices that have USB 2.0 interface only. The gadget is ready to use right out of the box in case you use a Windows-operated computer (or laptop). If, however, you're a Mac user - a reformatting of the external hard drive's file system is required. Moreover, the unit provides the highest level of security for your data - both local and cloud automatic backups are available. 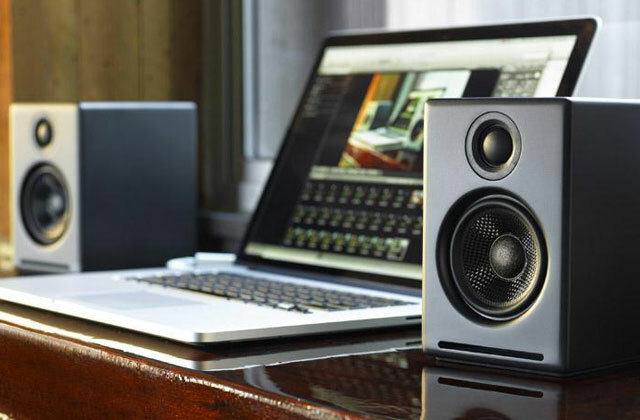 In the recent years, it's become almost a trend for manufacturers of external drives to produce devices that would be not only capacious but also have many useful extras. In this respect, Sony isn’t an exception. In the HD-SP1 1TB external disk it is not only the extensive capacity that users like, but also a special software for handling the data on the disk. Let's see what you get. Backup Manager 2 software performs a double backup, reducing this way the risk of losing the important data by transferring it firstly to the cloud, and later, when the cloud is full, to the HDD. Password Protection Manager is one more useful application that prevents unauthorized access to the data saved on the disk. You can encrypt all your files or just several of the folders, depending on the content and the importance of the data. At any moment these data can be decrypted. 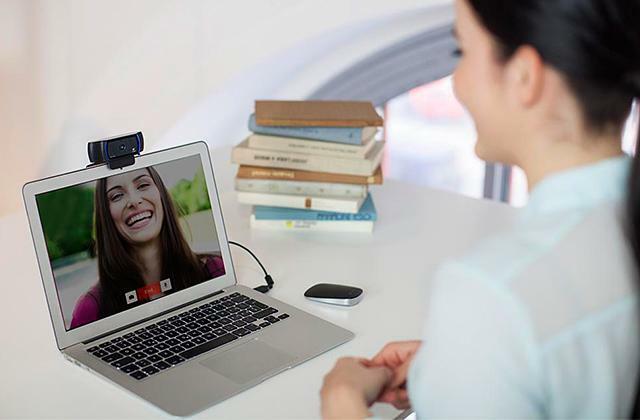 The Sony HD-SP1 is compatible with Windows and Mac OS. For Mac users, however, it'd be necessary to reformat the disk in NTFS first. The Sony HD-SP1 comes with a USB 3.0 cable through which it's possible to transfer tons of data considerably in a short time. In product specifications, you will see the speed rate of 5Gb/s, although, in reality, it isn't as high. When the HD-SP1 has been put to test, its reading speed reached 110 Mb/s and the writing speed, being slower a fraction, made 109 Mb/s. Considering these figures, though, the disk proved to be pretty quick in data transfer. 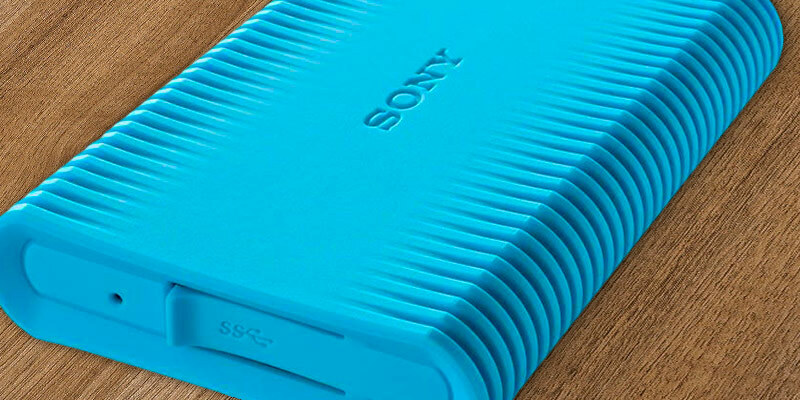 The Sony HD-SP1 keeps your data secured not only inside but also from the outside. 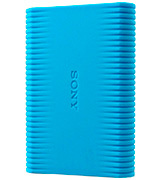 It features a textured rubber case that doesn't slip in the hands. Also, it has IP52 protection, which means if you happen to drop it, the device wouldn't break. 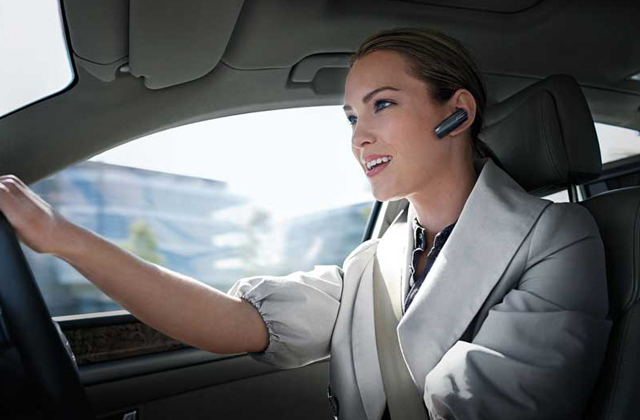 The Sony HD-SP1 boasts dust-, water-, and shockproof (up to 1.2 metres) properties to last you faithfully a lifetime. 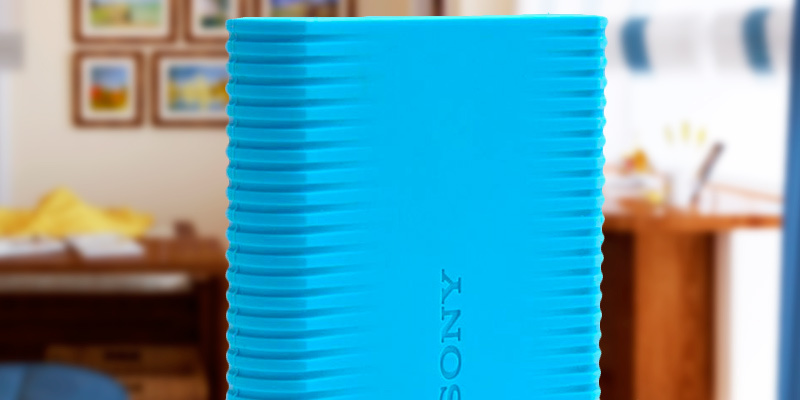 The Sony HD-SP1 is available in green and blue that both look eye-catchy and vibrant. Choose the colour you like better and add brightness to your daily routine. 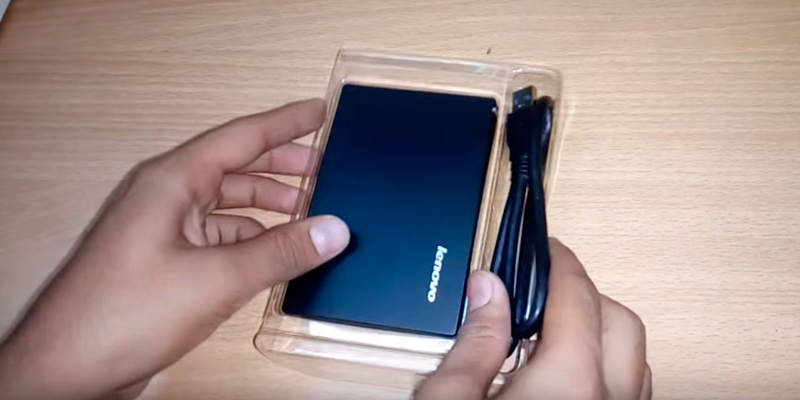 The UHD F308 by Lenovo company is a classical example of an external hard drive disk. We have two reasons for calling it so. Like all traditional hard drives, this one doesn't have any bells and whistles; all you get is a 1TB capacity for all your storage needs. Secondly, it does look classy. Encased in black plastic, it conveys the concept of simplicity and classic traditions. The white Lenovo inscription on the housing and the LED indicator flashing white add contrast and restraint elegance to the model. The drive itself is very compact and hence, fits snugly in spaces of all sizes, be it your pocket or handbag. What this disk isn't as good at is resisting external factors such as moist and dust. Therefore, it's important to be careful with it, not exposing the drive to unfavorable conditions detrimental to its service life. Anyway, if you don't bother hunting for the cutting-edge external hard drive and need a simple solution at a good price to store your films, music, and photos, the Lenovo UHD F308 can be the right choice for you. 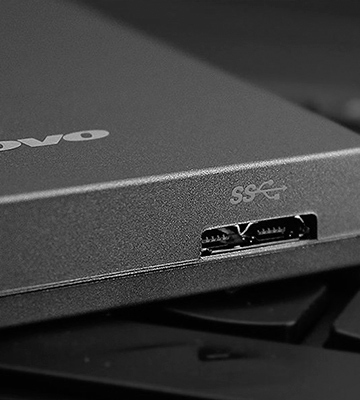 The Lenovo UHD F308 includes a USB cable for connecting to a PC or laptop. 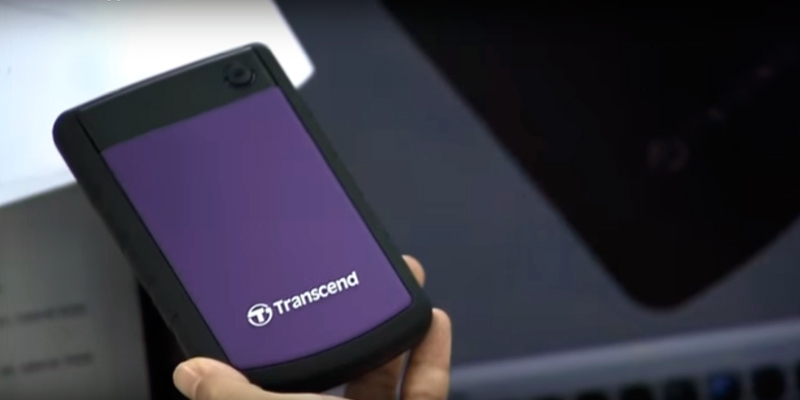 The device features 3.0 interface, which enables up to 100 Mb/s of data transfer speed. 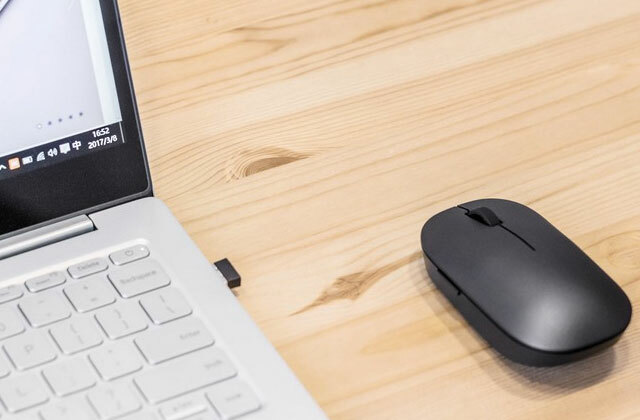 Out of the box, the drive comes compatible with Windows-based devices only, however, if needed, it can also be reformatted to work with other OSes. So, not a bad option at all! As it was mentioned above, the Lenovo UHD F308 doesn't perform backup functions. But if you’re an owner of the Lenovo ThinkPad, we have good news for you. The thing is the laptops of this product line feature Lenovo Rescue and Recovery applications that allow you to backup and restore not only your usual stuff but also system disk information. To be able to protect the data stored on your laptop, you only need to create a bootable CD recording on it both Rescue and Recovery apps in advance. For those of you who don't need to backup the data all the time, a great alternative would be to use a standard means of Windows OS which can automatically run backups every hour. External hard disk drives are additional data storage devices. There are two types of external hard disk drives: portable and desktop. Very often the capacity of your PC's or laptop's HDD or SDD is insufficient and that's when external hard drives come in handy. Moreover, as a rule, USB external hard drives also provide reliable backup of your most important data: encrypt the data on external hard disk drive and restrict access to it on a software level. 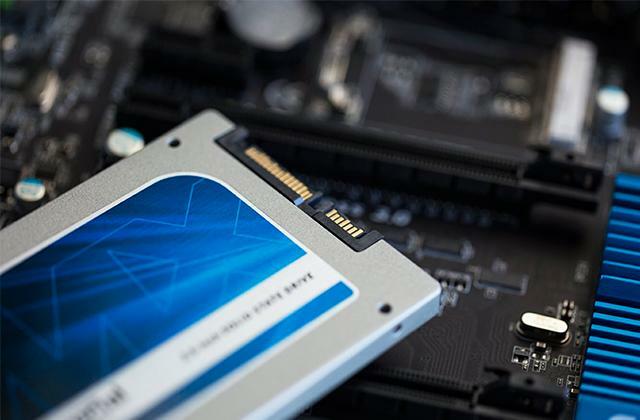 Aside from external hard drives, more sophisticated and high-tech storage devices are also available to all computer owners: solid state drives. 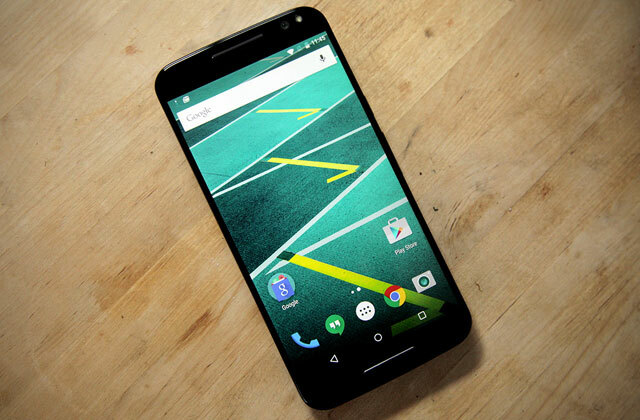 They boast the highest data transfer rate possible and compact size. 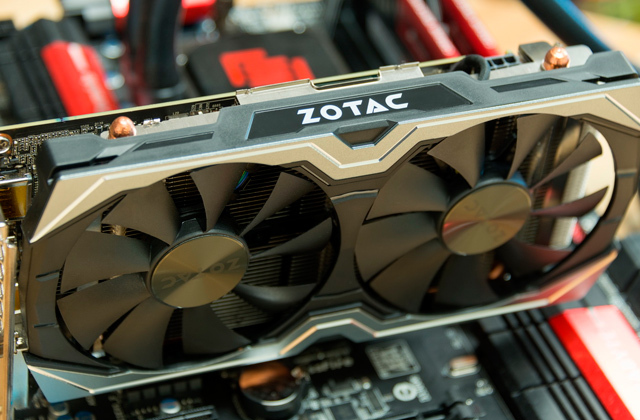 Therefore, we strongly recommend you to check our review on solid state drives! To be able to customize the look of your CD/DVDs covers, we can offer you to read our review on CD/DVD printers and choose the one that suits you better. 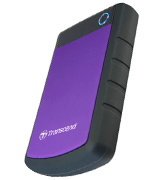 The first feature we are going to tell you about is the type of external hard drives. In general, they are either portable or desktop. Portable external hard drives are very compact and can work directly off the USB port, so you just need a cable. 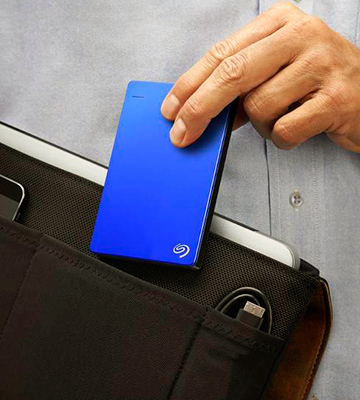 Moreover, you can carry such external hard drives around wherever you go. Desktop external hard drive disks, in their turn, boast higher capacity and are perfect for home use. However, they require connection to the mains (via power adapter). The next parameter to take into consideration is the capacity of every external hard disk drive. To put it simpler, this feature tells you how much data a device can store. For some customers, this is the most important feature for choosing an external HDD. The capacity ranges from several hundred megabytes (200MB, 500MB, 750MB) on some outdated models to several terabytes (1TB, 2TB, 3 TB) on the newest HDDs. The latter are much better in terms of price to capacity ratio. Next, you should know the precise speed (or, in other words, the data transfer rate) which determines how fast the data can be transferred from/to the external hard drive. With ever-increasing data amounts and file sizes, speed becomes a really important performance indicator. 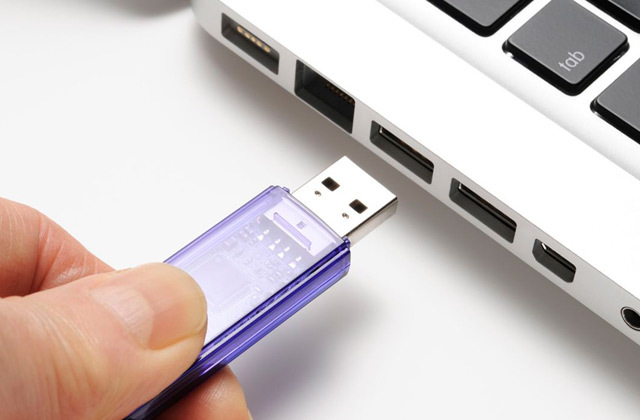 The speed primarily depends on what type of USB interface is used: it can be either USB 2.0 (in this case the maximum data transfer rate reaches 480 Mb/s) or USB 3.0 (it's much faster - up to 5 Gb/s). Of course, the maximum speed is guaranteed only if both a computer and an external HDD support USB 3.0. However, that isn't the only parameter determining the performance of the device - you should also know the spindle rotation speed - the higher it is, the faster your HDD works. 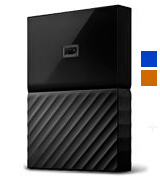 Modern external hard drive disks boast a spindle rotation speed of 5400 RPM or 7200 RPM. Another important feature is the size and design that determines the look of external HDD, its form factor, and weight of the device. The form factor or the size is measured in inches. Most commonly, the form factor of external hard drive disks varies from 2.5'' to 3.5'' - it's, actually, the size of magnetic disc inside the casing. 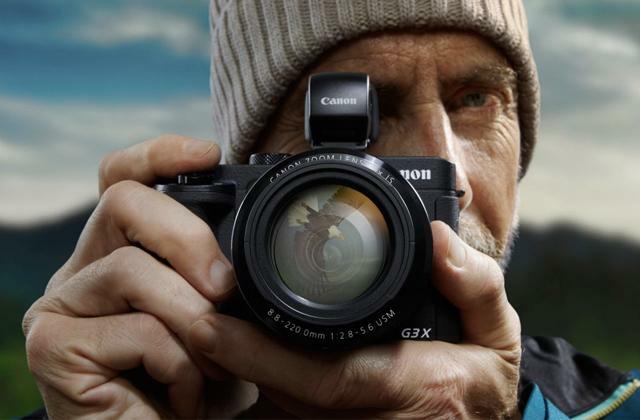 No need to say, the smaller the form factor is, the more compact and lightweight the device is. However, bigger external hard drives usually have a larger capacity. 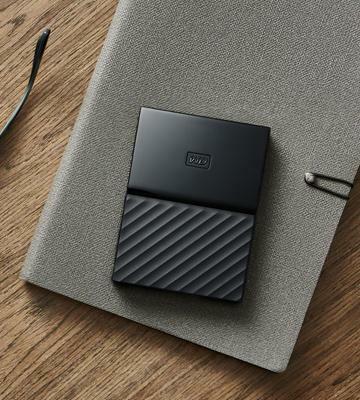 External hard drive disks come with different default file systems and that's why you should always be fully aware if the device can work with your operating system. For example, if you have a device featuring FAT32 file management system, you won't be able to use it with iMac. Of course, you can reformat the external HDD and after that it will become Mac-friendly, but it will require deleting all your files. In general, the most widespread operating system (Windows, Mac OS, and Linux) run on different file systems (FAT, FAT32, NTFS, ext4), so if a new external hard drive doesn't work with your, say, Ubuntu Linux - just reformat it and everything will be fine. Finally, any worthy external HDD must provide the maximum security of the data stored on it. And that's why different back-up technologies are used. Some USB external hard drives are capable of performing local backups, which means the files are copied to the external hard drive. Some models support cloud backup, i.e. your files are copied to a remote cloud storage. 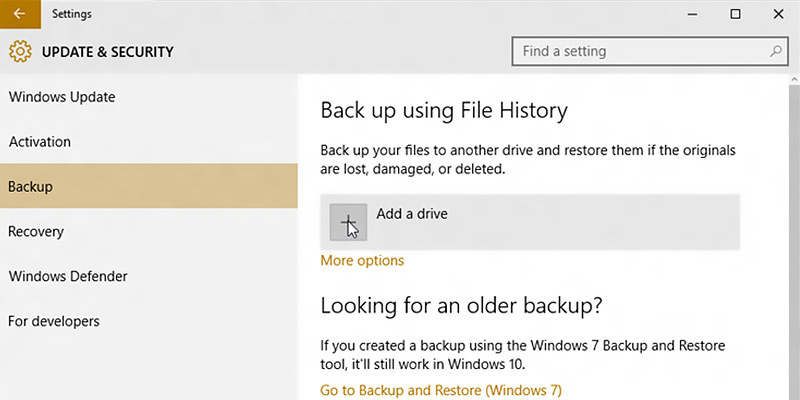 The backups are usually carried out automatically, so you just need to configure the backup schedule. 2. Ron Seifried 15 Recommended External Hard Drives for Everyday Use, B&H photo video. July 2015. 6. Joel Santo Domingo The Best External Hard Drives of 2016, PCMag. July 8, 2016. 7. Desire Athow Top 10 best external desktop and portable hard disk drives of 2016, TechRadar. August 3, 2016. 8. Andrew Harrison 7 best portable hard drives 2016: what's the best portable hard drive you can buy in the UK? PC Advisor. February 23, 2016.